Explore classical landscapes, sweeping vistas, fragrant formal gardens and a woodland wilderness. Keep cool in summer by the serpentine lake, or picnic on the lawn. 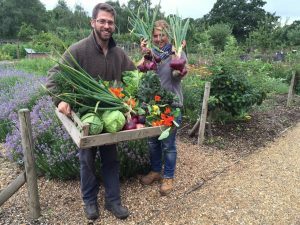 In autumn, buy fresh produce from our Kitchen Garden, from beans to gooseberries, soft fruits and vegetables to honey. The English Landscape Movement is one of the UK’s greatest influences on European art and architecture. And it all started here, with William Kent’s designs for the Chiswick House Gardens. With his mentor, Lord Burlington, Kent broke down the rigid formality of the early 18th century garden to create a revolutionary, natural-looking landscape. Freed from hedges, the gently sloping lawns run down to the serpentine lake with its the rustic waterfall. 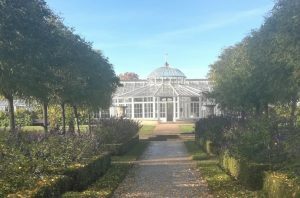 The gardens form a complete and complementary work of art with Chiswick House at their centre. The villa and gardens each enhance the beauty of the other. Planting here went on to influence gardens from Blenheim Palace to New York’s Central Park.